During a busy day, it can become all too easy to focus on the negative. You might feel tired, overworked, and stressed out by all of the conflicting demands on your time. As a result, negative thoughts can creep into your mind. 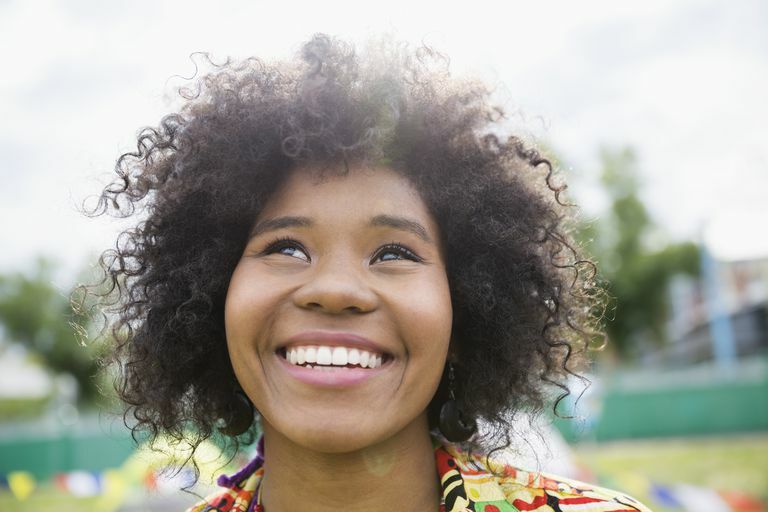 While you know that thinking positively is better for your state of mind, you might be surprised to learn that it can also be good for your health. Research has demonstrated that positive thinking can have a wide variety of benefits, from improving your self-confidence and psychological well-being to actually boost your physical health. So what can you do to eliminate negative thoughts and replace them with a more positive outlook? Even if you are not a natural-born optimist, there are things you can do to develop your positive thinking skills and reap some of the benefits of positive thinking. In order to be a positive thinker, you need to learn how to really analyze your thoughts. The stream-of-conscious flow of thought can be difficult to focus on, especially if introspection is not your strong suit. When you encounter a challenging situation, try to notice how you think about what is happening. Do you engage in negative self-talk? Do you mentally criticize yourself or others? This negative thinking presents a major obstacle, but identifying such thoughts is the first step in overcoming them. Some of the most common types of negative thinking involve focusing on only the undesirable aspects of a situation. For example, let's imagine that you have just spent a busy day at work. You gave a presentation and completed several tasks ahead of schedule, but you forgot to return an important phone call. Despite the successes of the day, that evening you find yourself ruminating on that one slip-up and worry how it will affect your success at work. Instead of reflecting on the positive and acknowledging the negative, you are ignoring the good and magnifying the bad. Self-blame is another common type of negative thinking. When your department does not reach its sales quota for the month, you blame yourself rather than acknowledging that the slow economy has led to fewer sales overall. This type of negative thinking can be particularly damaging to your psychological well-being. By taking the blame for things that are not your fault or are not in your control, your self-esteem and self-confidence take a serious hit. Changing the negative thought cycle can be a challenge and it is a process that takes time. It is important to note that simply repeating empty platitudes ("I'm good enough! I'm smart enough! People like me!") can sometimes backfire and actually have a negative impact on your self-image. Positive thinking is not about putting on a pair of rose-colored glasses and ignoring all the negative things you will encounter in life. That approach can be just as devastating as ignoring the positive and only focusing on the negative. Balance, with a healthy dose of realism, is the key. So what can you do when you find yourself overwhelmed with negative thoughts? Start with small steps. After all, you are essentially trying to cultivate a new habit here, and as anyone who has ever tried to change a behavior or keep a resolution can tell you, these things take time. Start by identifying one area of your life that is most affected by negative thinking. Perhaps you tend to think negatively about your personal appearance or your performance in school. By starting with a single and relatively specific area of your life, the changes will be more likely to stick over the long-run. So, let's imagine that you have chosen to focus on your negative thinking with regards to school. The next step is to spend a little bit of time each day evaluating your own thoughts. When you find yourself thinking critical thoughts about yourself, take a moment to pause and reflect. While you might be upset about getting a bad grade on an exam, is berating yourself really the best approach? Is there any way to put a positive spin on the situation? While you might not have done well on this exam, at least you have a better indication of how to structure your study time for the next big test. Watch carefully for negative self-talk. When your inner monologue starts suggesting that you will never get your assignments done on time or that the work is too hard, find a way to take a more positive view of the situation. For example, if you are struggling to finish a research paper on time, look for ways that you can rearrange your schedule to make more time for the project rather than giving into hopelessness. When a homework assignment seems too difficult to complete, see if taking a different approach to the problem or seeking out assistance from a classmate might help. Being a positive thinker is not about ignoring reality in favor of aspirational thoughts. It is more about taking a proactive approach to your life. Instead of feeling hopeless or overwhelmed, positive thinking allows you to tackle life's challenges by looking for effective ways to resolve conflict and come up with creative solutions to problems. It might not be easy, but the positive impact it will have on your mental, emotional, and physical health will be well worth it. It takes practice; lots of practice. This is not a step-by-step process that you can complete and be done with. Instead, it involves a lifelong commitment to looking inside yourself and being willing to challenge negative thoughts and make positive changes. Segerstrom, S. & Sephton, S. (2010). Optimistic expectancies and cell-mediated immunity: The role of positive affect. Psychological Science, 21(3), 448-55.